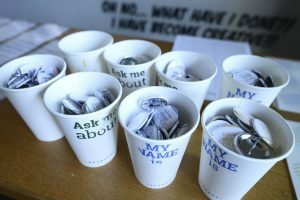 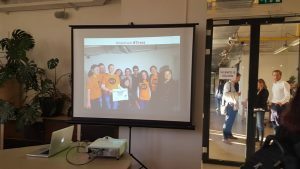 An important unconference took place for the first time in Europe on June 1st, the Transparency Camp Europe. 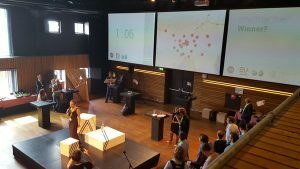 The event took place in Amsterdam in the context of the Netherlands EU Presidency 2016. 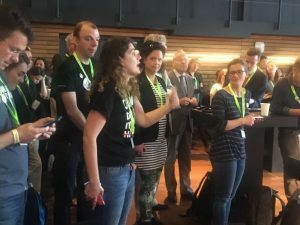 The participants in this TCampEU included representatives from the civil society in Albania, who became part of European experiences on open data, , and civil engagement. 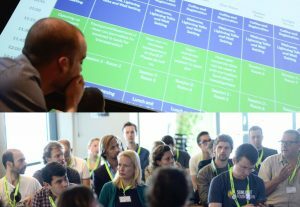 One of the TCampEU activities was the APP Competition, which came as a finalization of tens of events of a DiploHack nature in different cities of Europe. 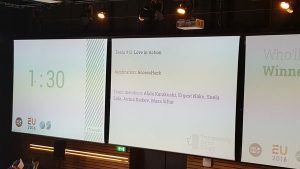 Albania was represented in this event by Alida Karakushi and Ergest Nako, members of the Love in Action team, winners of DiploHack Tirana.